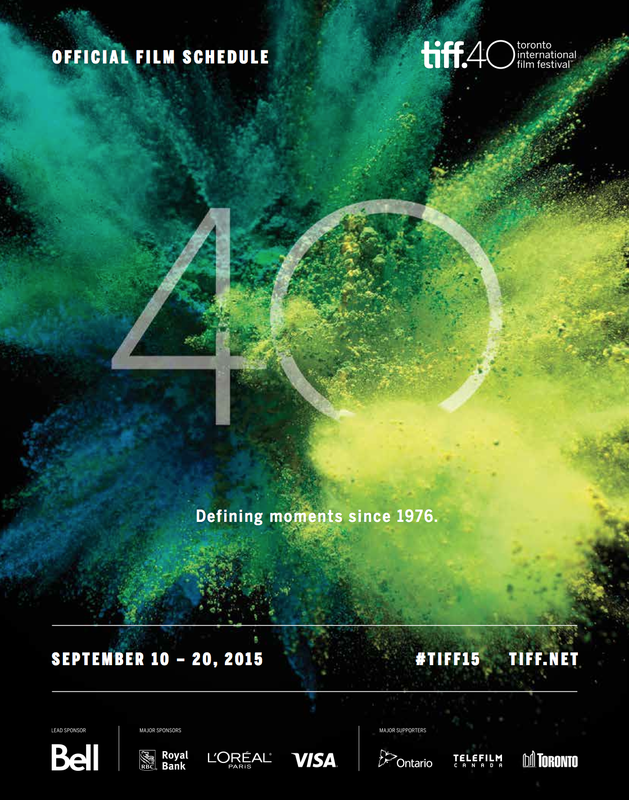 Although the first weekend of the 40th edition of the Toronto International Film Festival is coming to a close as we speak, the festivities will still be going strong in the city until September 20th. My previous batch of reviews from yesterday are right here, and below are my thoughts on five more films. As always, please come back tomorrow and throughout the rest of the festival for my thoughts on many more films. Into the Forest: After all of their internet and electricity mysteriously shuts down, and the world starts running out of resources, sisters Nell (Ellen Page) and Eva (Evan Rachel Wood) are left to fend for themselves at their father’s (Callum Keith Rennie) secluded property in Northern California, in the face of an impending apocalypse. Adapting Jean Hegland’s novel for the screen, director Patricia Rozema brings Into the Forest to screen with intimate and quietly intense style, displaying a sensitive and compassionate touch in her handling of even the film’s most graphic elements. Ellen Page delivers an excellent performance here, brilliantly showing the resilience and determination of her character to make due against seemingly impossible odds, and Evan Rachel Wood provides an equally solid counterpart, bringing quiet strength to her portrayal of the more fragile sister. The two young actresses have a very naturalistic sense of chemistry between them, helping make every plot point feel both believable and heartbreaking. This is the world ending with a whimper not a bang, and Into the Forest is made all the more powerful and compelling for it, a haunting survival drama that offers a restrained and grittily realistic view of potential apocalypse. Maggie’s Plan: Maggie (Greta Gerwig) is perpetually single, but wants to have a baby and considers herself ready to be a mother. Determined to raise the raise the child on her own, she is all set to go through with artificial insemination, when she meets the attractive John Harding (Ethan Hawke), a professor and celebrated writer at the university where she works. Although John is married and already has a family with the icy Georgette (Julianne Moore), Maggie becomes captivated by him, and the two embark on an affair. But fade through to three years later, and things aren’t going as well as she hoped, forcing Maggie to concoct a new plan. Although Maggie’s Plan is occasionally let down by its somewhat sillier populist impulses, including a few broader moments of comedy, writer-director Rebecca Miller’s sharp screenplay draws its biggest laughs from the often very witty dialogue, and her cast of great actors keeps things enjoyably moving along. Greta Gerwig is essentially playing another variation on her charming but slightly daffy dreamer character who doesn’t always realize her own narcissism, a persona that she has honed very well by this point, and is always enjoyable to watch. Julianne Moore seems to be having fun disappearing inside her heavily accented if somewhat caricatured role, and there is also some amusing supporting work from Bill Hader and Maya Rudolph as the married but constantly arguing friends. But the best performance in the film comes from Ethan Hawke, who injects genuine depth beyond his character’s apparent selfishness, making us feel sympathy for this man torn between the intentions of those around him. With likeable performances from its excellent cast, Maggie’s Plan is an entertaining romp through love triangles and relationship problems, that features some sharply delivered dialogue. Fire Song: Still reeling from his sister’s suicide, Shane (Andrew Martin) dreams of finally getting away from his small Native community, and going to university with his boyfriend, David (Harley Legarde-Beacham). But his depressed mother (Jennifer Podemski), dwindling money and being forced to hide his sexuality in the guise of a relationship with Tara (Mary Galloway), are all taking their toll on him, and threaten to drastically effect his future. Any more amateur signs of Fire Song being a first feature are easily forgiven because of the important and very topical messages that the film has to offer, dealing with timely issues of suicide among aboriginal youth and acceptance of being “two-spirited” within a more traditional community. Anchored by a moving performance from newcomer Andrew Martin, this is a simmering and quietly affective drama about characters struggling to break free of the seemingly never ending cycle of poverty and tragedy that make up their lives. Closet Monster: Emotionally scarred from his mother (Joanne Kelly) leaving, and witnessing a horrific hate crime as a child, Oscar Madly (Connor Jessup) is a teenager struggling to confront his sexuality, under the close watch of his possessive and increasingly abusive father (Aaron Abrams). But when he falls for the free spirited Wilder (Aliocha Schneider), who openly enjoys the hedonistic pleasures of life, everything comes to a head, threatening to derail his dream of moving away to college and studying to become a makeup artist for horror movies. This is a highly stylized film filled with dark visual metaphors, some of which are affective, but Closet Monster also has bit of a weird juxtaposition between its more whimsical elements, like the talking pet hamster (voiced by Isabella Rossalini) who constantly gives him advice, and its frequently moodier moments. These almost gothic images can become tiring to watch, especially in the more graphic moments of body horror, which start to grow repetitive. Although these tonal shifts don’t always work, Closet Monster is nevertheless a gutsy feature debut for director Stephen Dunn, that is held afloat by a solid performance from promising young actor Connor Jessup, who brings emotional weight to a character struggling to literally come out of both the mental and physical prisons that hold him back. Although this is an almost uncompromisingly bleak coming of age drama, Closet Monster is still engaging and moving enough to warrant a recommendation, and should especially connect to sympathetic teenaged audiences. The Waiting Room: An immigrant from pre-war Yugoslavia, Jasmin (Jasmin Geljo) is a struggling actor in Toronto, who finds himself typecast to read for criminals in his auditions, and works as a construction worker to support his wife (Ma-Anne Dionisio) and young son (Filip Geljo). There are a lot of static shots and long takes where nothing much actually happens in The Waiting Room, and they do sometimes add to the feeling of longing for things to happen that permeates throughout the story, but they also make this largely uneventful film feel slow moving and mundane. Jasmin Geljo turns in a solid and nicely understated performance, and there are a few affecting dramatic moments in this clearly personal film, but overall the execution is more stagey than cinematic.